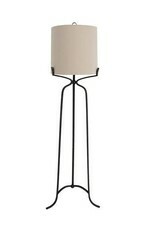 The Elena floor lamp is a unique tripod shade holder with minimalistic curves. The base features symmetrical metal curvatures resembling short arms and tall legs. 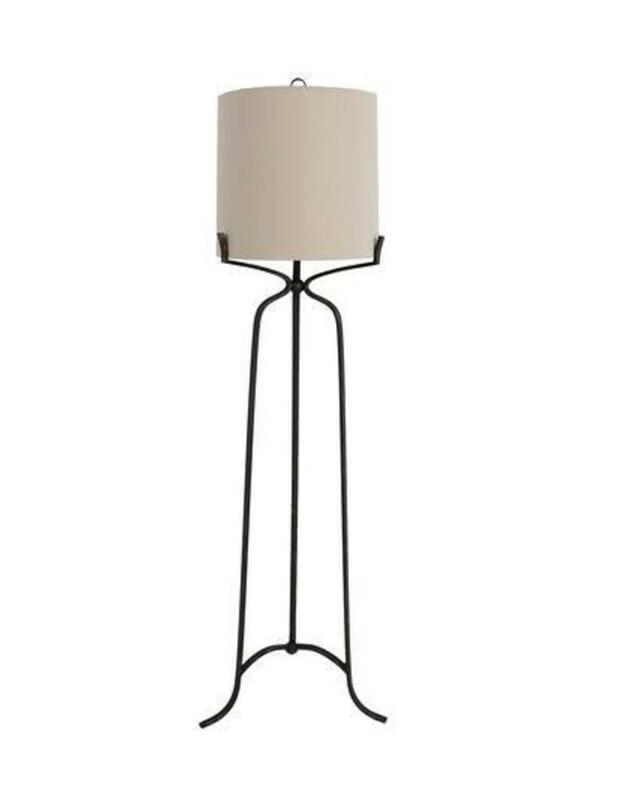 The arms carry the weight of the lampshade, while the legs boast a simple parabola that flares quickly at the base. It’s finished in antique bronze with a hint of metallic to complete this eclectic, yet transitional look.